Deep Learning is a very rampant field right now – with so many applications coming out day by day. And the best way to get deeper into Deep Learning is to get hands-on with it. Take up as much projects as you can, and try to do them on your own. This would help you grasp the topics in more depth and assist you in becoming a better Deep Learning practitioner. This process has many potential applications in real life. A noteworthy one would be to save the captions of an image so that it can be retrieved easily at a later stage just on the basis of this description. What does an Image Captioning Problem entail? What is the first thing that comes to you mind? (PS: Let me know in the comments below!). A man and a girl sit on the ground and eat . A man and a little girl are sitting on a sidewalk near a blue bag eating . A man wearing a black shirt and a little girl wearing an orange dress share a treat . A quick glance is sufficient for you to understand and describe what is happening in the picture. Automatically generating this textual description from an artificial system is the task of image captioning. The task is straightforward – the generated output is expected to describe in a single sentence what is shown in the image – the objects present, their properties, the actions being performed and the interaction between the objects, etc. But to replicate this behaviour in an artificial system is a huge task, as with any other image processing problem and hence the use of complex and advanced techniques such as Deep Learning to solve the task. Before I go on, I want to give special thanks to Andrej Kartpathy et. al, who helped me understand the topic with his insightful course – CS231n. 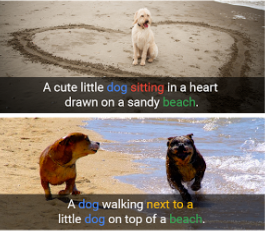 The task of image captioning can be divided into two modules logically – one is an image based model – which extracts the features and nuances out of our image, and the other is a language based model – which translates the features and objects given by our image based model to a natural sentence. For our image based model (viz encoder) – we usually rely on a Convolutional Neural Network model. And for our language based model (viz decoder) – we rely on a Recurrent Neural Network. The image below summarizes the approach given above. Usually, a pretrained CNN extracts the features from our input image. The feature vector is linearly transformed to have the same dimension as the input dimension of the RNN/LSTM network. This network is trained as a language model on our feature vector. This is done so that our model understands the start and end of our labelled sequence. 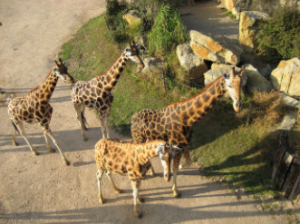 Let’s look at a simple implementation of image captioning in Pytorch. 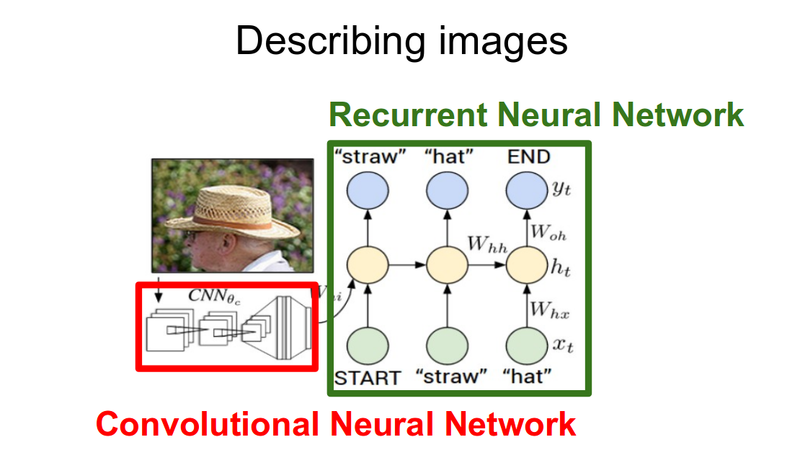 We will take an image as input, and predict its description using a Deep Learning model. The code for this example can be found on GitHub. The original author of this code is Yunjey Choi. Hats off to his excellent examples in Pytorch! In this walkthrough, a pre-trained resnet-152 model is used as an encoder, and the decoder is an LSTM network. To run the code given in this example, you have to install the pre-requisites. Make sure you have a working python environment, preferably with anaconda installed. Then run the following commands to install the rest of the required libraries. Just to peek under the hood and check out how we defined our model, you can refer to the code written in the model.py file. """Load the pretrained ResNet-152 and replace top fc layer.""" modules = list(resnet.children())[:-1]      # delete the last fc layer. """Extract the image feature vectors.""" """Set the hyper-parameters and build the layers.""" """Decode image feature vectors and generates captions.""" """Samples captions for given image features (Greedy search).""" And that’s how you build a Deep Learning model for image captioning! The model which we saw above was just the tip of the iceberg. There has been a lot of research done on this topic. Currently, the state-of-the-art model in image captioning is Microsoft’s CaptionBot. You can look at a demo of the system on their official website (link : www.captionbot.ai). 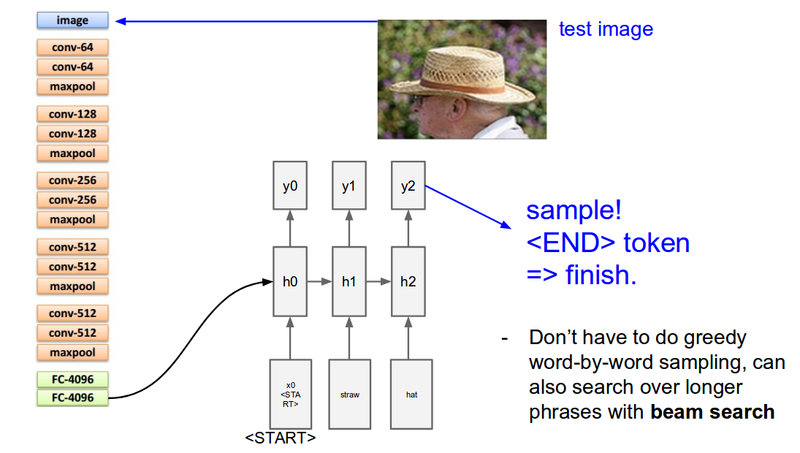 I will list down a few ideas which you can use to build a better image captioning model. Using Attention models – As we saw in this article (Essentials of Deep Learning – Sequence to Sequence modelling with Attention), using attention models help us in fine tuning our model performance. Moving on to bigger and better techniques – There are a few techniques which researchers have been investigating – such as using reinforcement learning for building end-to-end deep learning systems, or using novel attention model for visual sentinel. In this article, I have covered Image Captioning, a multimodal task which constitutes deciphering the image and describing it in natural sentences. I have then explained the methodology to solve the task and given a walk-through of it’s implementation. For the curious, I have also included a list of the methods you can use to improve the model performance. I hope this article motivates you to discover more such tasks that can be solved using Deep Learning, so that more and more breakthroughs and innovations happen in the industry. If you have any suggestions/feedback, let me know in the comments below! Hey! I am using ubuntu with a limited space os. Can you tell me how much space does this dataset occupies my memory? The dataset occupies 25Gb of space. You can use cloud services to resolve the issue. cool! can you tell me how much time will it take for implementation? ‘chmod’ is not recognized as an internal or external command, The above code invollve mix of linux and windows commands. I am surprised that the above code works completely on windows machines..